Reaching the Redwood forests in California was a breathtaking experience. Quite unexpected too. 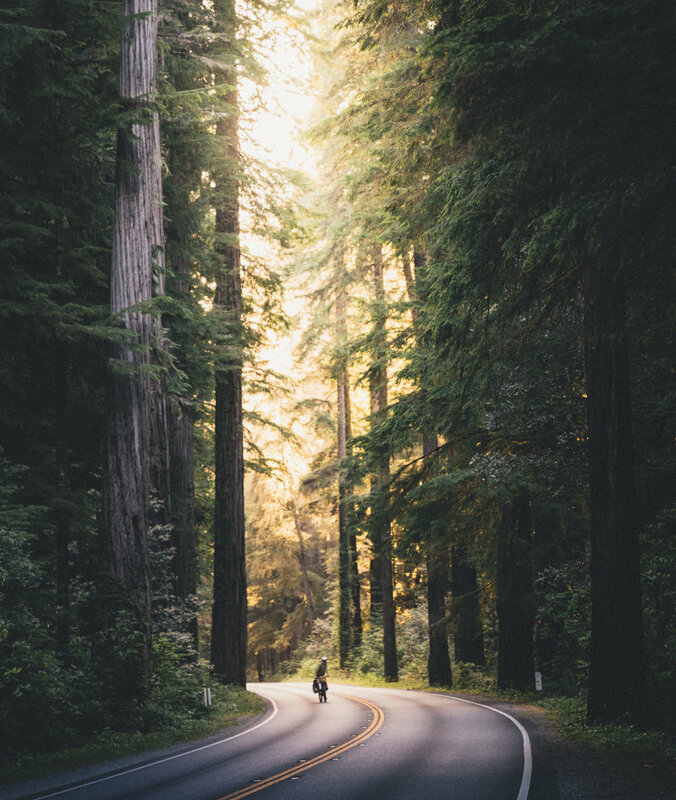 I’d heard there were big trees, bit didn’t know where to find them yet on my ride from Grants Pass, OR to Crescent City on the Pacific coast. It was a long day, with 132 km the longest of the trip so far. The whole day on a busy highway, up and down through the hills. I even had a flat tire, the 5th so far. Early in the evening after a lot of ups and downs I reached the forest. The trees got bigger and bigger. Healthy, straight and tall. Unbeatable giants. The oldest are near 2000 years old. It’s incredible how much history those trees carry, how much they’ve seen. And it’s not just a few trees, they are everywhere. It’s really well preserved, knowing how old these forests are. Although I was tired after the long ride I was excited like a dog making pictures, while the sun set and the forest slowly darkened. I couldn’t wish for a better welcome into California.